If you need more then one grease trap at your property for your tenants you may be able to glean a little bit of information from this article. This article is based on one of our latest jobs. Lets say you own a six pack of shops and 3 independent shops require a grease traps. One for the Cafe, another a Pizza shop and a Thai Restaurant. This will cost you say around $50k instead of I perphaps $45k for one big 3000 litre grease trap. Please Note: Not all Councils and Water Authorities allow one grease trap for multiple shops. They don’t want tenants arguing over who produces the most grease and fats and should be paying more for the scheduled grease trap pump out. In these cases they make a blanket rule to only allow one grease trap per business/ shop. The benefit of installing one big one whether 3000-5000 litres is that any and all of your shops can be rented out as a food outlet. They yield higher returns as you well know. 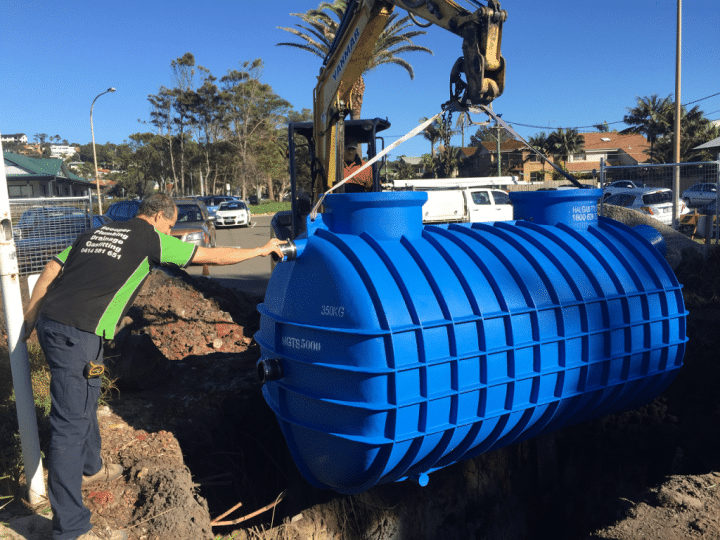 The Local Water Authority will require an application that will put your building on notice so to speak, but it is the only way to get them to allow you to install one large system. Where you stand right now is that three grease traps are needed. If you install one for the pizza shop Local Water Authority will need to inspect it. They will want to know where are the grease traps for the other two shops. This puts you in a bit of a corner. It’s always best to go to them then them come after you. Having three separate systems will create a mass of pipes running up the outside wall. It will get messy. One system will allow for each shop currently requiring a grease trap to be connected and provisions will be made for easy connection for any cafe in the future. I believe this is the best long term solution. It also will work out cheaper. Points to keep in mind. When dealing with your Local Water Authority that you must bring this across. The best outcome is one that both you and the Water Authority are both happy with. Most Inspectors and Water Authority Representative are good and reasonable. Potential of having all of your shops as food outlets. Your argument needs to be that 3 of your shops are already food outlets and if another wanted to move in there is no more in ground room for another tank. You want a maintenance free system and are aiming to avoid using pumps and above ground tanks. Local Water Authorities likes “gravity systems”. You want to strike a balance between the fact that not all shops will be cafes, restaurants, so you don’t want to have to get the biggest possible system which is 5000 litres. 3000 litre should be big enough for the low amount of kitchen sink litres used per day. They may want though a 1000 litre allowance per shop up to a max of 5000 litres. This is out of our hands and we can not decide on this ourselves. It’s their decision. They are reasonable sometimes though. Your Local Water Authority will send you a letter outlining what they will require and then we can go ahead. They may want to know who is responsible for the grease trap to be cleaned out. This will need to fall onto your business. You will need to express that the empting of the grease trap is built into each tenants rent. They will put your grease trap on a empting cycle. Could be 3-12 months between empting. The bigger the system the cheaper the cleaning companies charge to empty it per litre. Keep in mind that grease trap are required only for the cleaning of dishes. Take aways and Cafes with few dishes have a small impact. Sit down restaurants are greater in their need for cleaning. A large shopping centre can have only a 5000 litre system. The only utensils needing cleaning are the ones used for cooking. No dishes. Something to discuss with the Local Water Authority Rep/ Inspector. Hope this info helps. Sorry about the bad news. It’s not cheap fitting these systems. If you have any questions just send me a email.